Ed Quinn, President and CEO of R.J. Corman Railroad Company, at the groundbreaking ceremony for the $17.5 million TIGER Grant Project. Jason Lee/Myrtle Beach on Line. 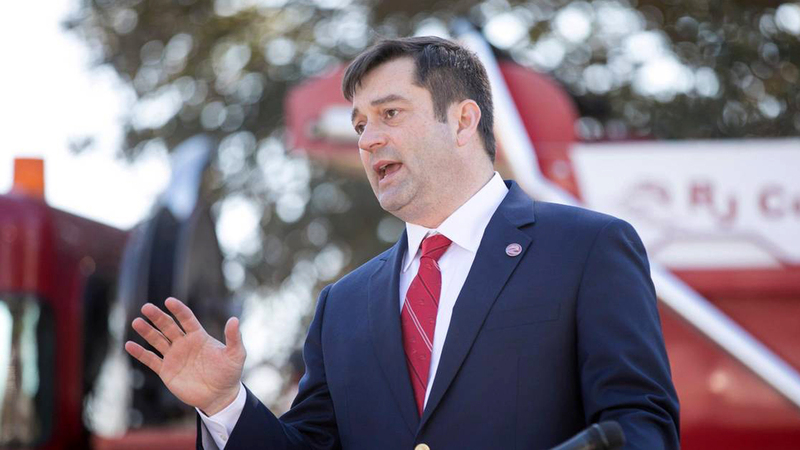 The $17.5 million project, funded by a Federal TIGER (Transportation Investment Generating Economic Recovery) Grant as well as contributions from South Carolina and R. J. Corman, is expected to be completed in four years. It will include replacing approximately 60,000 crossties, upgrading nine miles of rail, upgrading nine bridges with a complete rebuild on a 220-foot bridge that spans the Crab Tree Swamp in Conway, S.C., and rehabilitating 39 at-grade crossings. Horry County Government applied for the TIGER Grant, which is awarded to projects that offer state-of-good repair, economic competitiveness, quality of life, environmental sustainability and safety, along with innovation and partnership. 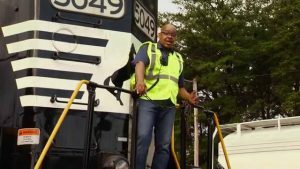 The agency was awarded a $9.8 million grant for rail rehabilitation, and has partnered with the South Carolina Department of Commerce, Marion County, S.C. and Columbus County, N.C. to implement the project. R.J. Corman said it intends to rehabilitate the right-of-way to eventually reach speeds of 25 mph. 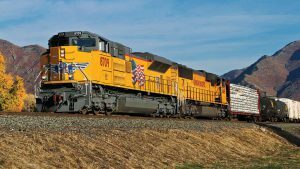 “The project will allow the Carolina Lines to improve efficiency, while continuing to provide safe and reliable rail service to the community,” the company said. 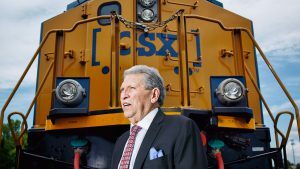 “The capital investment permits funds to be focused on track conditions for long-term benefits, rather than temporarily fixing the infrastructure, allowing R. J. Corman Railroad Company to be an effective member in sustaining and developing economic opportunities in the area. The extensive project will take a considerable amount of effort. Upward of 60 R. J. Corman employees will be used at times when tasks demand. They will be utilizing a variety of specialized equipment including tie gang equipment, rail gang equipment, dump trucks, prentice trucks, track hoes, tampers, regulators, and their fleet of ballast cars and side dump cars. Moving the Carolinas Forward: A Rural Freight Rail Project is scheduled to conclude in the spring of 2022.